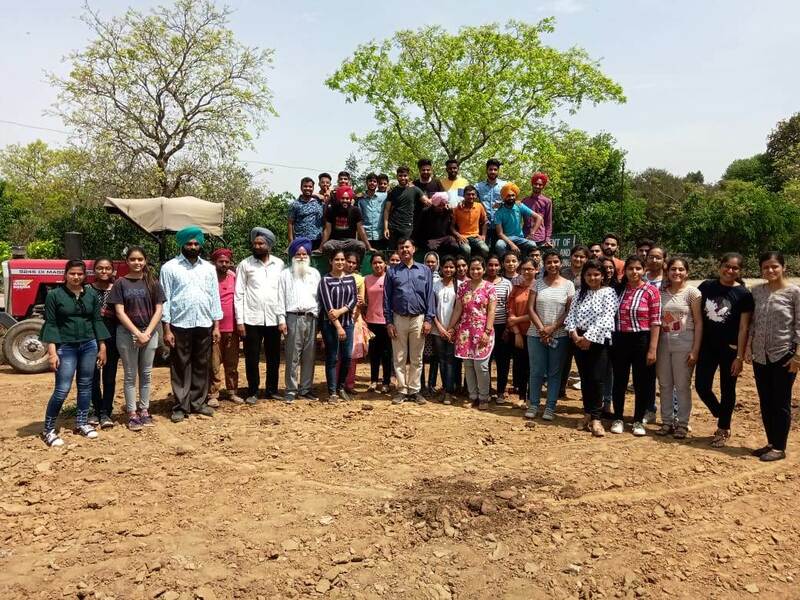 Ludhiana: The NSS unit of the College of Agricultural Engineering and Technology, Punjab Agricultural University (PAU), organized one-day camp on the eve of Baisakhi. The NSS volunteers of the College toiled in the field at the backyard of the Department of Processing and Food Engineering to develop land by removing stones, bricks and other trash lying there. The volunteers performed this task with great enthusiasm. Among 70 students, Ms. Prabhleen Kaur and Mr. Jasanmol Singh were adjudged as the best. The students removed two full trolleys of debris from the area to render it fit for future development. The technical staff of the Department of Processing and Food Engineering also participated and facilitated this operation. Dr Ashok Kumar, Dean, College of Agricultural Engineering and Technology, while appreciating the efforts of the students, said the overall growth of youths is never complete until they are motivated to channelize their energy towards the community beyond classrooms. Dr Mahesh Kumar, Head, Department of Processing and Food Engineering, while proposing the vote of thanks, lauded the efforts of Dr R S Gill, In-charge of NSS as well as students for their readiness to contribute their share for the welfare of the College.